One of Florida's first state parks, O'Leno State Park was first developed by the Civilian Conservation Corps in the 1930s. The park is located along the banks of the scenic Santa Fe River, a tributary of the Suwannee River, and features sinkholes, hardwood hammocks, river swamps and sandhills. As the river courses through the park, it disappears underground and reemerges over three miles away in River Rise Preserve State Park. O'Leno State Park is located on the old town site of Leno, and previous to that, Keno. The history of this little town is surprising but, even more amazing is that disappearing Santa Fe River. Our walk across the CCC swinging bridge gave us the chance to walk beside this dark, fast moving little river and enjoy the amazing flora and birdlife that abounds here. After a bit of a workout hiking beside the river, we found ourselves back at the townsite ....... but on the opposite side of the Santa Fe? We hadn't crossed any bridges (or so we thought) to get to the opposite side but here we were, definitely on the other bank. Turns out that this is one of 3 Florida rivers that drop into sink holes and then pop up again as a spring. The Santa Fe choses to run underground about 4 1/2 miles before showing up again to be enjoyed by nature lovers. Our walk had actually taken us on "land bridge" over the river so got us to the other side without realizing it. There is a small history building with displays about the town, the area, and the CCC work done in this park. Great information in a very neat little building. Another neat little building is the Nature Center that displays the fascinating wildlife in the area. Part of the fascinating wildlife was the gentleman who seemed to know every historical fact about Florida in general and O'Leno in particular. Truly a wise and knowledgeable person who was eager to share the wonders of his home State with every interested person. Who knew that Florida once raised more cattle than Texas? Well he does and that was just the start of the much appreciated nature hour with him. All State Parks should be so lucky as to have such a gem available to mesmerize visitors. The camping area is a bit rough. When the pavement stops, the gravel gets pretty sketchy. On our visit, holes had just been filled in with buckets of rough gravel that created hills where the valleys had been so no improvement until things get battered down again. No Laundry, no wifi, no free pizza & beer but the gravelled sites offer some separation between neighbors. There is a kiddies playground at one end of the campground so choose your site accordingly. 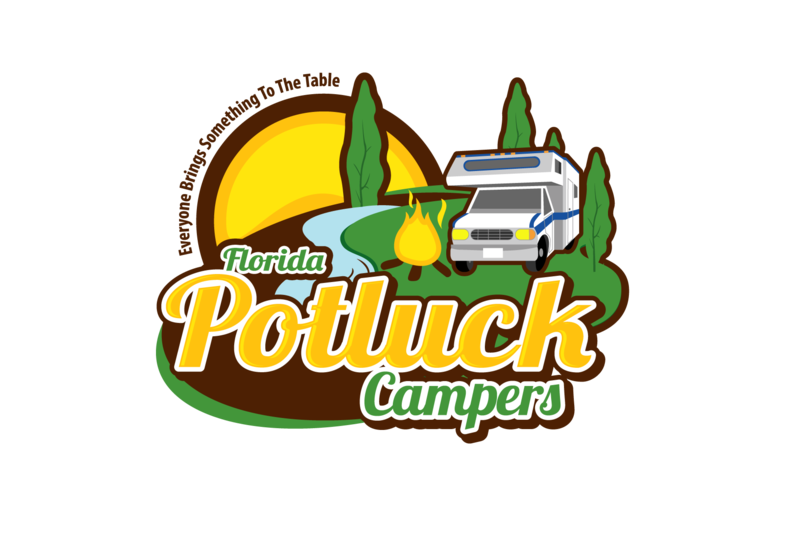 On Saturday join the potluck party. To follow the event chat and post about the event please click on the event chat below.